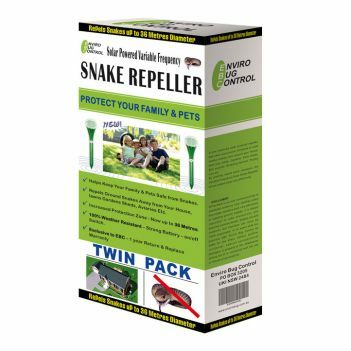 A solar powered Snake Repellent to help keep snakes away. This unit works by emitting a vibration through the ground and a sound to deter snakes. A snake is able to pick up these vibrations through its body sensors and fools it into thinking there is danger ahead. A solar panel and a rechargeable accumulator battery collects power by day for operation at night.